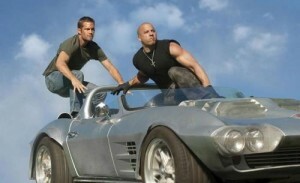 Earning $238.7 million at the box office, Fast & Furious 6 shows the fast-car franchise has no sign of stopping. All the old cast members are back, and this time, Vin Diesel (Fast Five), Paul Walker (Taker) and Dwayne Johnson’s (Pain & Gain) Hobbs are on the same team. And they’re all trying to take down a criminal group with former Diesel girl Michelle Rodriguez (Resident Evil: Retribution). Jordana Brewster (TV’s Chuck) and Tyrese Gibson (Transformers: Dark of the Moon) are back, and new to the film franchise is Luke Evans (The Three Musketeers). “The Mastermind and the Mole” with franchise newbies Evans and Gina Carano (Haywire) talking about their experience on the movie. It’s great there bring back the original cast. I hate when they replace cast members. It was a big factor in rather or not i was going to watch the movie or not. Agreed! The inclusion of Vin and Walker–with the added appeal of Dwayne–makes it worth the stretch!